I have now made this tart three times, and in my opinion, it keeps getting better. After each fruit tart, I learn something new to make it a little better. For instance, for the first fruit tart, I made a shortbread crust. Something super simple and super delicious. 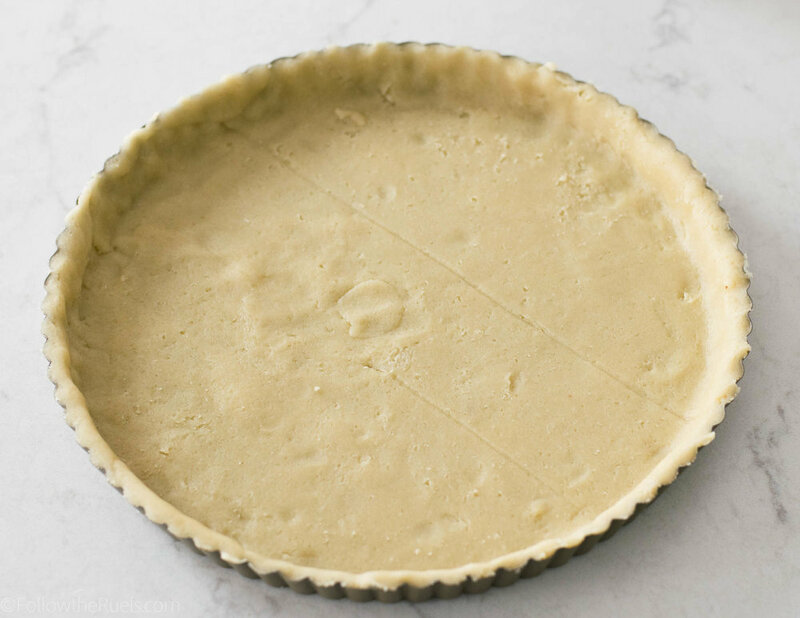 For the second version of this tart, I decided to make a Thomas Keller tart crust recipe. My neighbors, who have had this tart each time it was made, told me they liked the first crust better! So for the third (and final) tart, I made the original shortbread-like crust but kept the delicious mascarpone filling that everyone loved in the second. However, we all know what makes this beautiful fruit tart so eye-catching! The fruit! I really stepped up my game when I made this for Easter and decided to make some pretty fruit flowers instead of just piling on the fruit. It was a hit! 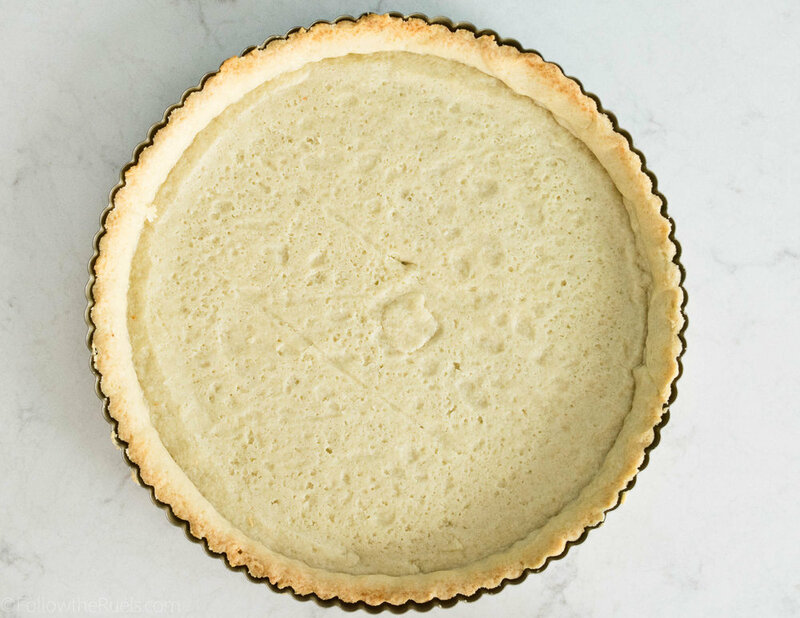 Adding the extra details to this tart makes it look very professional and sophisticated when (just between you and me), it's SUPER easy to make! I will even allow shortcuts to the recipe. For instance, don't want to make your own tart shell? Buy one premade, use a frozen pie crust, use store bought cookie dough, or make a quick graham cracker crust! Sure, it won't taste quite the same as the one I made, but I guarantee it will still be delicious. There aren't really any shortcuts for the filling since it's just mascarpone and sugar mixed together. But, if you wanted to make it a tad healthier, you could use vanilla Greek yogurt instead. All I am saying is that this post is more about how to assemble a beautiful fruit tart than it is about making one from scratch. However, if you are interested in the later, I've got you covered with the recipe down below! For those who are interested in how to make the tart shell and the filling, read on. If you just want to see how I created the flowers, skip to the next section! The tart shell is a cross between a shortbread cookie, pie dough, and the super fancy tart shell that Thomas Keller makes. 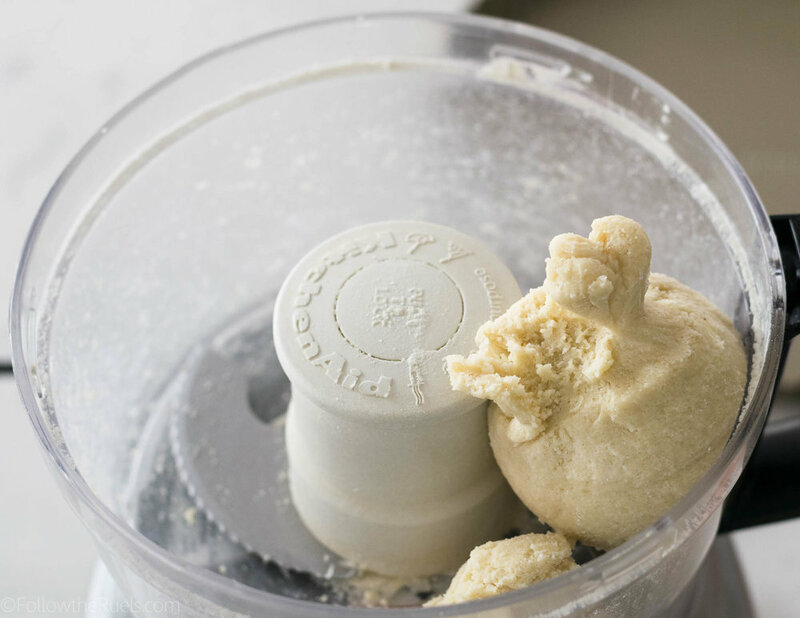 Combine almond flour, all-purpose flour, sugar, butter, salt, and a teeny bit of water in a food processor and pulse until the dough forms a loose ball. Roll out the dough between two sheets of parchment until it's big enough to cover the bottom and sides of your tart pan. Press the dough into the bottom and along the sides of the pan, then cut off any excess. Add a sheet of parchment and then pour on pie weights, dry beans, or rice. Bake in the oven for about 15 minutes, then remove the pie weights and bake for an additional 10. While the tart shell bakes, make the filling. Mix together mascarpone, sugar, and vanilla until it's light and fluffy. Once the tart shell has baked and cooled, spread the filling into the bottom of the tart shell. The hard part is creating the fruit flowers. It did take me a few tries to get the strawberries down, but they are pretty easy once you get the hang of it. The mango flowers are even easier, provided the mangos aren't too slippery. My mango was very juicy which made the slices a bit harder to roll. But they still aren't very hard to make. Like with any flower arrangement, whether on a cookie or on a wreath, I recommend using an odd number of the same type of anything. So I have 5 strawberry flowers and 5 mango flowers. I also have 5 clusters of kiwi. That wasn't an accident. That was very much on purpose. Odd numbers are more pleasing to the eye so they make this fruit tart look very organic and natural, rather than staged. However, the best thing about this fruit tart is EATING IT! It is so delicious! It's simple, not overpowering, but still incredibly flavorful because of all of the fruit flavors on the top of the tart. I absolutely love this combination of fruit because you have a mix of tart fruits, like kiwi and raspberry, with sweeter fruits like the blueberry, strawberry, and mango. There are also so many different textures, it all comes together to create the perfect dessert! I guess I shouldn't be surprised when my neighbors keep requesting this tart for any of our get-togethers! In the work bowl of a food processor, pulse together almond meal, flour, butter, and sugar until it forms a coarse crumbly texture. Pour in a teaspoon of water at a time, then pulse 3-5 times. Keep adding water until the dough forms a loose ball. Turn dough out onto a sheet of parchment, cover with another sheet of parchment and press down with your hands to form a flat disc. Roll out until the dough is large enough to cover the bottom and sides of the tart pan. Transfer dough to tart pan and press into the bottom and along the sides. Cut off any excess dough. Place one of the sheets of parchment on top of the tart shell and then fill with pie weights. Bake for 15 minutes, then remove the pie weights and bake for another 5 minutes, until the edges have browned. Meanwhile, mix together the mascarpone, sugar, and vanilla until light and fluffy. Fill the baked and cooled tart shell with the filling. Then top fruit. Create flowers out of the strawberries and sliced mango. Place strawberries and mango first, then fill in with kiwi, raspberries, and blueberries.